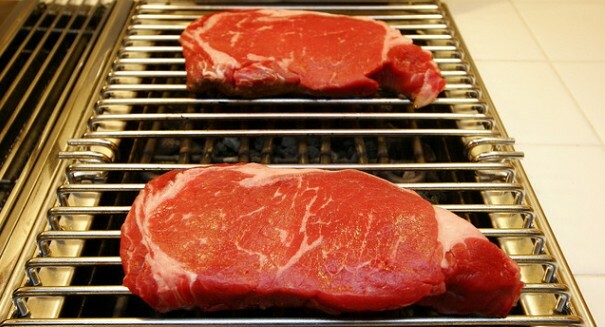 An alarming new report indicates that grilling meat may raise your risk of blood pressure, and therefore early death. If you enjoy grilling meats, a new study may give you pause before you put that pork chop or steak on the flames. A study presented at an American Heart Association conference claims that grilled or well-done beef, chicken, or fish may raise the risk of high blood pressure in people who eat these foods on a regular basis. Researchers based their findings on a huge study involving tens of thousands of people who took part inf the Nurses’ Health Study. The participants gave detailed cooking information for the long-term studies, and none of the participants had high blood pressure or other complications. Scientists found that those who ate grilled meats regularly had a 17 percent higher risk of getting high blood pressure. Additionally, those who ate their food well done had a 15 percent higher risk.